India’s first-ever consul general to Karachi says Pakistan is not a failed state. He is convinced that its middle class will save it from the Taliban, and that it can engage with India and set aside historic hostilities. 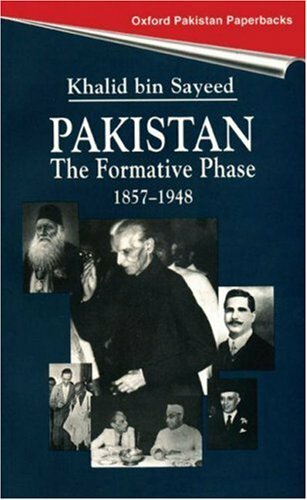 Before we take a look at the five books I would like to find out a bit more about your thoughts on Pakistan’s identity. I think some of the problems that Pakistan is facing arise from the ambiguity in how it defines its identity. Recently I came across a quote from the London Times editorial on the 15 August 1947, which was celebrating the creation of Pakistan and looking at its then capital city of Karachi. And the editorial said, “From today, Karachi takes rank as the rallying point for Muslim thought and admiration.” Looking at that 64 years later is so ironic. Pakistan today is really the centre of Muslim lack of cohesion, and far from being a rallying point of Muslim thought and admiration, it has become a hub of world terrorism. Why do you think that has happened? Well, that is the main thing I am trying to explore with my five book choices. Let’s take a look at them and see what conclusion we draw. 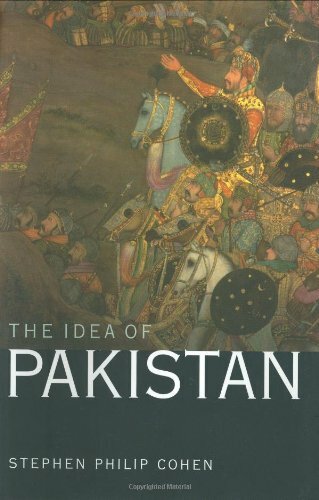 Your first choice is Khalid bin Sayeed’s Pakistan: The Formative Phase, which looks at the strengths and weaknesses of the Muslim separatist movement, which eventually led to the creation of Pakistan. Yes, this book is extremely well documented and it has the advantage that besides taking the story up to the partition of India and Pakistan, it also takes the story forward to approximately the first decade of Pakistan as a separate national identity. And it is clear that even in 1940, when the Pakistan resolution was passed, it was not without significance that the word Pakistan did not exist in the resolution. So, in a sense, Pakistan was born before it was conceived. It was not clear what it was that Pakistan would be, apart from not being India. And yet Muhammad Ali Jinnah, who was the first Governor General of Pakistan, from what he said in his inaugural address to the Pakistan Constituent assembly on 11 August 1947, seemed to have wanted a Pakistan that would be a virtual mirror image of India. 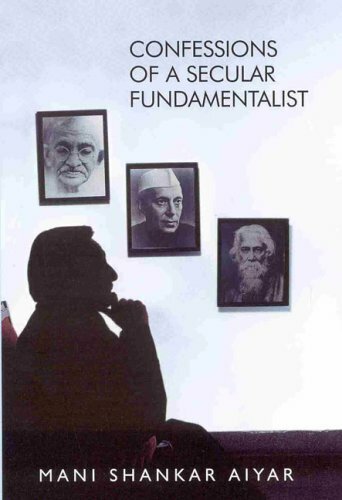 He was a secularist who found himself caught up in the sectarian cause. But putting forward Pakistan as a nation of Muslims had several problems. What about the Muslims not moving to Pakistan? Were you going to leave them behind in what Jinnah regarded as hostile territory? And, secondly, if Islam constitutes the nation’s nationality then why is there a border between Pakistan and an even more Islamic Afghanistan. Surely, as two Islamic nations, they should be together? The third question was: when you talk about Islam, which school of Islam do you mean? Secularism, as conceived in our subcontinent, is a matter of having different religious communities living together in tranquillity and harmony, whereas in Pakistan, especially west Pakistan, from where many minorities choose to move out to India, secularism takes on a different role of being a matter of tranquillity and harmony between different sects of Islam. And yet getting to that point is very hard when the sects are defined in different theological terms and each theology feels that its word is the true interpretation of the word of God. But religion was one of the driving forces behind India and Pakistan’s split, so it is hard to take it out of the equation. Yes, but when you look at the history of the partition, it was not until the 1930s, when it was clear that India was going to achieve self-government, that the idea of Pakistan started emerging. And it first arose in the head of a few students in Cambridge who invented the word Pakistan. Then in 1937 there was the election where the advocates of a separate Muslim identity, that is the Muslim League, suffered the tremendous setback of getting less than 5% of the votes in separate electorates for the Muslims and the Hindus. The idea of Pakistan starts crystallising only in 1940 through the Lahore Resolution, and it is only after the Congress Party is put behind bars in 1942 that there is a certain momentum given to the Pakistan idea. All the Congress leaders were languishing in jail thinking the world hadn’t changed after 1937, so that the election results of 1945 came as a huge shock to them. But even in 1946, with less than a year to go before the separation, Jinnah was still toying with the idea of a united India. Then he resorted, on 16 August 1946, to “direct action” ­– violence in the street directed against the other community. And that “direct action” was the progenitor of the unbelievable violence that accompanied the partition. And it would appear that Jinnah, more than anyone else, was shocked at this Frankenstein monster that he had unleashed. And yet, because of the manner that Pakistan was obtained – through direct violence – it inevitably led to a complete exodus of the minorities to India, making it impossible to make Pakistan a mirror image of India. It would be very hard to make it cohesive with all those different groups living there. Yes, the West Asian Muslim countries are largely countries which are unitary in nature, there is not much plurality there. Whereas the South Asian countries are all pluralistic countries and have to learn to forge their unity in diversity. But Pakistan has been unable to do this. 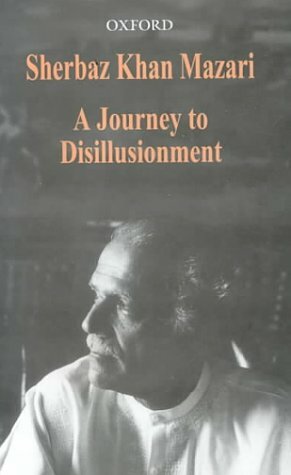 Let’s fast forward from the partition of India and Pakistan to A Journey to Disillusionment by Sherbaz Khan Mazari, which looks at the Bhutto and Zia eras. Sherbaz Khan Mazari was about 17 or 18 years old when Pakistan was created, and he says in the book that he was very enthused by the idea of Pakistan. He is a very deeply committed democrat and I think he is probably the most honest politician in the whole of the subcontinent. He thought that Pakistan would have its best opportunity when, after years of military rule, in 1971 Zulfikar Ali Bhutto became effectively the democratic civilian leader of Pakistan. Most of this book looks at how democracy was subverted by those who had captured the state in the name of democracy. There is this disillusionment with the attempt to bring real democracy to Pakistan. Mazari thinks the only solution possible to the problem of Pakistan is democracy, but despairs of securing it when democracy is subverted by democratic politicians themselves. Unfortunately, many of Pakistan’s leaders have given democracy a bad name. Yes. In South Asia, you cannot have democracy without pluralism. Because Pakistan is a South Asia nation, it has a plurality of languages, of political opinions and a plurality of religious sects. And it is only if you have a celebration of this kind of plurality that you will be able to create a nation out of diversity. 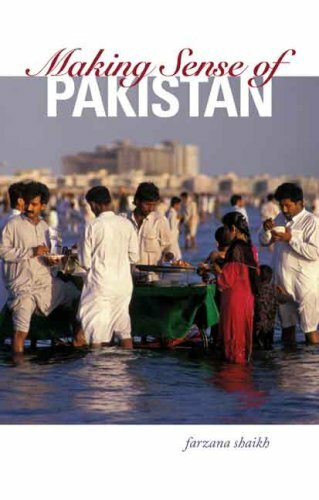 Stephen Philip Cohen’s book, The Idea of Pakistan, continues to explore this idea of diversity defining Pakistan’s identity. In particular he looks at what it means for Pakistan to be a Muslim state. Stephen Cohen has a similar thesis to Sherbaz Khan Mazari’s book but he also looks into the future. And the future he looks into and concludes about Pakistan is at odds with my final author MJ Akbar’s prediction of the future, where all you see is a void. Stephen Cohen makes the much more valid point that Pakistan is, in fact, a very stable country, because it has a highly educated, highly sophisticated establishment, which stretches through the military and into the land-owning classes and, through them, into the political parties. Although he thinks it is a flawed democracy, he does not agree with the idea that it is a failed state. The idea of modernisation that animates the establishment is one that will result in defeating the forces of reaction which have been spawned even by some members of the establishment for ulterior motives. Therefore, in a sense, it ends on a note of hope which corresponds much more to my personal experience of Pakistan. I don’t think Pakistan is likely to explode or implode, which is the way it is often portrayed in India. You say that there is a strong educated middle class in Pakistan, which is true, but events such as the recent assassinations of certain ministers show that radical movements in the country are rocking the stability the educated middle class provides. I think it is precisely because of the reaction of the establishment to these forces that makes me believe that it is very difficult for the Pakistan state to disintegrate. As these hostile forces come out of their fortresses, threatening the life and lifestyle of the establishment, there is an army always waiting to push them back. The political elite, notwithstanding their internal differences, are united in their determination that they are not going to allow Pakistan to go the Afghanistan way. While the struggles between the forces of Islamisation and the forces of modernisation determine the narrative of Pakistan, at the end of the day, given the way that religious parties are rejected at every election in Pakistan, I am certain that the modernising majority will eventually prevail over the religious fanatics. India can help in the process by engaging with Pakistan, so that the perception of Indian hostility is reduced and Pakistan has a greater sense of security. Then it can work out what it wants to be instead of it always being a matter of not being India. They need to move from being a front-line state in somebody else’s interest, which is what they have done for the last half century, into becoming a front-line state in their own interests. Good point. Next up is Farzana Shaikh’s Making Sense of Pakistan, which is again about this issue of Pakistan’s identity. 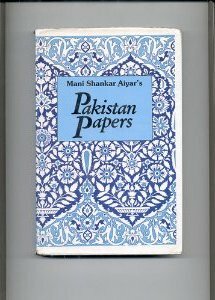 Yes, it is the very best book I have read on Pakistan. If Pakistan can introspect, it will have to recognise that in their Islamic republic, as Omar Khayyam said all those centuries ago, “the two and seventy jarring sects confute” – all these sects are part of the family of Islam. The question of whether there should be a Muslim nation or not on the subcontinent is one that is only of historical importance now. They do have an overwhelmingly Muslim majority country in Pakistan. Pakistan is as much a geographical as an historical reality and reversing that reality is simply out of the question. If Pakistan continues to feel threatened by India, or is portrayed by the military as being threatened by India, the Pakistan army can conquer the only country it is capable of conquering – which is Pakistan. Then, of course, the room for introspection becomes less because the country feels it is under siege and can’t progress. If India and Pakistan were to engage, from my own experience of seeing the very rapid outcome of the engagement at several different points, I think things could move forward. And in those conditions Pakistan can consolidate its own nationhood, not in terms of the idea of Pakistan that was born in a welter of hostility towards India. It needs to recognise that it doesn’t have to struggle to be a Muslim nation. It is a Muslim nation. But it must become a Muslim nation in which all the sects of Islam, and the remaining sliver of religious minorities, have an equal place. That, I think, is Farzana Shaikh’s essential point. Now the question is: Is Pakistan going to be a reactionary Muslim nation or is it going to be a modern Muslim nation? And I think popular opinion in Pakistan would drive it towards being a modern Muslim nation. As a modern Muslim nation, it would dilute the ideological influences upon its nationhood and, recognising its own plurality, would be able to celebrate that. At that point, I think Pakistan could become our very best friend instead of allowing elements in Pakistan to benefit from the perception of all this hostility. 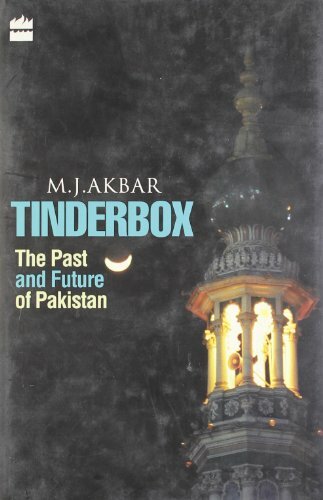 Your final choice is MJ Akbar’s Tinderbox: The Past and Future of Pakistan, which continues to explore Pakistan’s relationship with India. Akbar comes to the conclusion that Pakistan is a failing state or, at any rate, a state threatened with failure which might take us down with it. I don’t think that is true. I think Akbar does not take sufficient account of the self-interest of the Pakistan establishment, be it the military or the influential civil elements. They don’t want to live in a Talibanised Pakistan. If you look at their lifestyle you see a people that are indistinguishable from the New Delhi elite or even the London elite. And that is why Pakistanis are to be seen in such large numbers at the elite London club Annabel’s. The ones you see there are really the representatives of those who constitute the Pakistan establishment. And they are not just about to commit collective suicide. They will resist when the Taliban actually reaches them. The Taliban, at the moment, is reaching them through episodic terrorist attacks but it is not infiltrating into their daily way of life. The more it does, the more they will repel it. We saw that when the Taliban actually arrived at Buner, a town about 100km from Islamabad. Then, suddenly, Islamabad turned around and the war on terror started being fought by the Pakistani soldier. And yet there is this feeling that some members of the Pakistani establishment have some kind of relationship with the Taliban and indeed Al Qaeda. I am absolutely sure that is true. I am sure they have infiltrated the Pakistan establishment, including the army. But there they can function only as rogue elements. But I do not think an Islamic army whose commander-in-chief of the armed forces, General Musharraf, appears for a formal photograph carrying a dog in his hands could represent the Taliban in the establishment. The consumption of whisky in Pakistan is equal to that of India. Scotland makes a major contribution to our welfare in both countries! I think the need is to engage with Pakistan so that the new generation, all of whom were born as Pakistanis and have lived as Pakistanis, will recognise they don’t have to be “not India” to be Pakistani. The diminishing of the perception of Indian hostility has to be brought about by engagement between the two countries. But could this be wishful thinking on your part because you personally want to see that happen? It has actually already happened many times before. There have been these back-channel talks between Ambassadors Lambah and Tariq Aziz during Musharraf’s period and it is clear that almost all the major outstanding issues between Pakistan and India, including Kashmir, were on the verge of resolution. It just so happens that I was a classmate at Trinity Hall, Cambridge of Khurshid Kasuri, who served as Musharraf’s Foreign Minister. Since the fall of Musharraf, I have had Kasuri over to India and in public speeches he has detailed what the progress registered. Private conversations I have had with the Indian side show that what Kasuri said about the progress registered in the back-channel talks was substantially true. That is why I am convinced that when we engage, we can move far forward. The only reason that we are not moving forward is that we so often break the engagement and take such a long time to re-engage. Now that we have re-engaged, I reassert what I have been saying for the last 15 years in my own books, which is that dialogue between India and Pakistan should not only be uninterrupted but uninterruptible if we are to arrive at fruitful conclusions. If we don’t arrive at fruitful conclusions, then I am afraid, as an Indian, that Pakistan will remain an albatross around our necks. Its terrorism will be directed against India. And the world will not be able to give India the status it deserves on the international stage so long as we are bound into this hostile relationship with Pakistan. I think we should look upon the Pakistani establishment as our partners in the progress of South Asia rather than the stumbling block in our progress, which is how many many people, including my colleagues in politics, do regard Pakistan. One last question. I am interested to hear your opinion on how Pakistan’s role in harbouring Bin Laden for so long will affect its identity? I personally think it will be a minor blip in the story of the war on terrorism. Bin Laden was the symbol of all the causes of discontent in the Muslim world against the Western world. None of those causes have changed because of the assassination of Osama bin Laden. The strategic importance of Pakistan is of such high importance to the Western world that, whatever their complicity might have been in hiding Bin Laden all these years, the Americans have been very quick off the mark to ensure that Pakistan remains their closest and best ally in all the different wars they are conducting in this part of the world. Pakistan is essential to America’s pretensions to being an Asian power along with China and India.